As the national peak body for early childhood, ECA is a regular, and trusted, contributor to the public policy debate on all matters affecting young children (birth to eight years) and their families. We specifically acknowledge the rights of Aboriginal and Torres Strait Islander children and their families, and the past and current injustices and realities for them around Australia. Integrity: we ensure informed, ethical, authentic and transparent behaviour and our conviction guides what we do and how we do it every day. Collaboration: we share knowledge, establish and maintain respectful and trusting relationships with others to support the achievement of positive outcomes for children. Leadership: we acknowledge that strong pedagogical and courageous leadership is essential to support and promote the rights and voice of children. Inclusiveness: we value and promote acceptance of diversity in our work and that of the broader community. Quality: we strive to ensure that everything we do is high quality and demonstrates commitment to our advocacy role. Early Childhood Australia’s Code of Ethics also provides a set of statements about appropriate and expected behaviour of members of a professional group reflecting our values. ECA hosted a Parliamentary Breakfast with the Parliamentary Friends of Early Childhood in 2014. The special guest was Professor Joe Sparling presenting on the Abecedarian approach. ECA has a federated structure, individuals and services are members of State and Territory branches. Through our state and territory branches, we advocate on state government issues and enable strong advocacy levels at multiple levels. The national organisation of Early Childhood Australia is governed by a National Council and a National Board of Directors. The members of our National Council and National Board of Directors are representatives of the Early Childhood Australia State and Territory branches.The National Board of Directors is required to act in the best interests of the organisation as a whole and sets the strategic directions for the organisation. The work of the national organisation is supported by the National Office. The National Office ECA draws on the broad experiences and expertise of our members in our advocacy work. We take a strong evidence based approach to advocacy and conduct and commission research and reviews to inform our rigorous position on policy matters. The National Office is responsible for the development and implementation of the National Work Program, which is approved by the National Board of Directors and underwrites the achievement of the Early Childhood Australia’s strategic plan. The Chief Executive Officer Ms Samantha Page works closely with the National Board of Directors towards the achievement of the organisation’s goals. Early Childhood Australia supports campaigns that help to reach our advocacy objectives. Early Childhood Australia supports the Everyone Benefits campaign together with leading Australian early childhood peak bodies, research and advocacy organisations, and service providers. increase access to quality programs that amplify children’s development by securing political commitment to increasing early learning. ECA collaborated with the National Children’s Commissioner to develop Supporting young children’s rights: statement of intent 2015-2018. 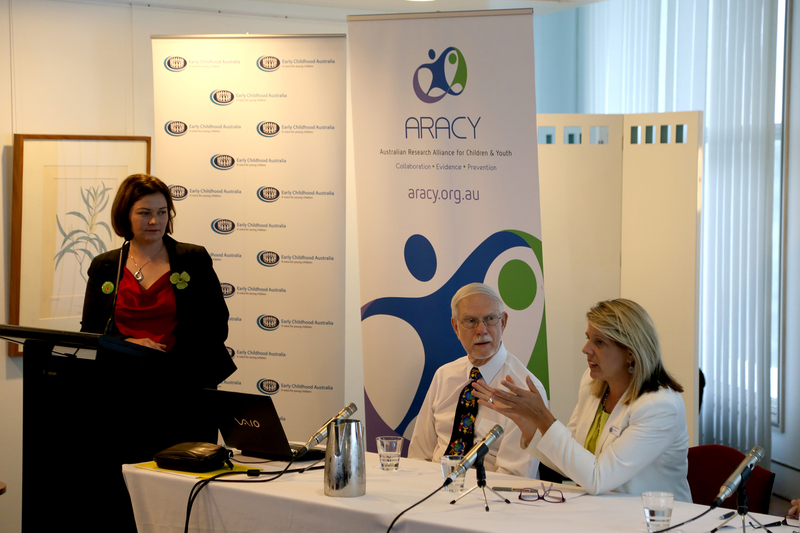 ECA collaborated with Early Childhood Intervention Australia (ECIA) to produce a Joint statement on the inclusion of children with a disability in early childhood education and care. ECA also has a Reconciliation Action Plan, which outlines the values and principles from which ECA can help advance reconciliation in our communities between Aboriginal and Torres Strait Islander people with the broader Australian Community. ECA is currently about to release a Statement on the inclusion of every child in early childhood education and care. ECA is also currently developing a Statement on young children and digital technology, to guide and inform the early childhood sector, families of young children about using digital and interactive technology with and for young children. All of ECA’s Statements can be viewed here. One of ECA’s key values is collaboration. This approach is employed across ECA’s work. For example, we form Advisory Groups and Project Reference Groups of members and stakeholders to help inform our work (see the table below). Stakeholder communications and policy reference groups. We use online surveys and workshops to help inform and provide feedback on policy submissions, publications and events. ECA’s prime leadership role comes from supporting and maintaining the rights and voice of children. We acknowledge that strong pedagogical and courageous leadership is essential to this advocacy. Minister for Communications, the Hon. Malcolm Turnbull MP, with ECA CEO Samantha Page, launching the Digital Business Kit for Early Childhood in 2014. 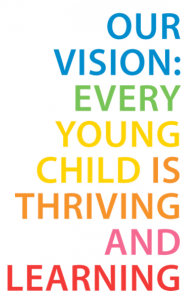 ECA provides strong internal and external advocacy to promote the rights and wellbeing of young children. appearing before Parliamentary and government hearings and inquiries. writing submissions to reviews and inquiries. publishing evidence based reports and statements. engaging support through the use of social media like Facebook, Twitter and LinkedIn. conducting and supporting social research. conducting issues based campaigns – like the Hands up for Quality campaign in support of the National Quality Framework for Early Childhood Education and Care, and the Early Learning – Everyone Benefits campaign to improve access to quality early learning for all children. engaging early childhood professionals, services and families in policy issues. ECA is part of a coalition of peak bodies calling for an update to the Melbourne Declaration on Education including to recognise the importance of early education. 2018 marks the 10-year anniversary of the Melbourne Declaration on Educational Goals for Young Australians. providing representation on all significant decision-making bodies that impact on early childhood education and care delivery. bringing together stakeholders with common goals. ‘influencing the influencers’ including organisations and people. regular meetings with members of Parliament and Government Ministers and their staff with the objective of influencing Government policy. regular meetings with Government officials. funding and conducting and publishing research. ECA also recognises that promoting the rights and voice and young children does not only require high level advocacy, but also empowering early childhood services and educators to take leadership at the local level and supporting them to deliver programs which also meet these objectives. That’s why part of our goals are to ensure early childhood education and care is provided by a qualified, specialised and skilled workforce. This includes building leadership capabilities across the early childhood education and care sector. ECA regularly visits and meets with services and educators to showcase best practice and engage and consult on issues concerning the sector. We hold service visits, conferences, branch meetings and advisory and reference groups to inform our approach. Find out how to advocate as an early childhood professional here. What is happening in parliament? 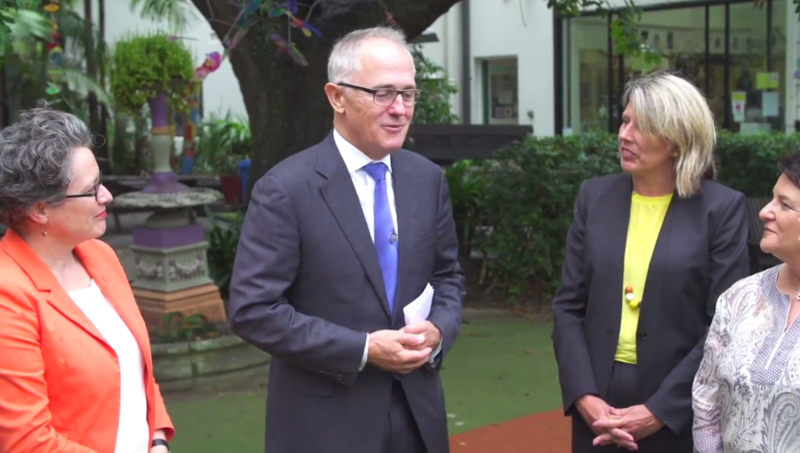 Prime Minister Malcolm Turnbull announced a reform of childcare subsidies would be a priority for his Government in 2017. The Prime Minister recognised that many families are only just managing financially and that increased support with childcare costs in urgently needed. The transcript of his address at the National Press Club from 1 February 2017 can be found here. In the next few days and possibly weeks, the Jobs for Families Package Childcare Package Bill will be put to both houses of parliament to make a decision. The biggest hurdle will be when this Bill goes to the Senate and we will see how various Senators react to it. There is a mix of Senators who oppose, support and are also undecided about this Bill. The difficulty with this Childcare Package Bill and a key reason for the delay is the government have decided to tie the funding of this Childcare Package Bill to making cuts to the Family Tax Benefit (FTB). That is, they will take money from FTB families in order to pay the families childcare subsidy. This hardly seems fair and ECA do not support the tying of these two bills. The Labor Party, Greens and some of the cross bench publically do not support the tying of these two bills – so it jeopardises the likely passage of the Childcare Package Bill. ECA are supportive of the government streamlining the CCB and CCR into one subsidy, and their increased early learning investment of $3 billion. However we are concerned about the impact of the proposed activity test (in the Childcare Package Bill), particularly on families with poor or irregular workforce engagement. ECA have argued strongly for children to have universal access of quality play-based early learning for two days per week – regardless of parental work activity. See our media release and Senate Inquiry Submission. The activity test and subsidy approval processes to be flexible to accommodate the complex needs of families. In December 2016, ECA met with Education Minister Simon Birmingham, Shadow Minister Kate Ellis and key Senators from the Greens and the cross bench to continue discussing the amendments we require for the Child Care Package Bill. We are also arguing that investing in childcare and early learning more than pays for itself because of the positive impact on the workforce participation and productivity, social equality, and educational and life outcomes. Additionally the Family Tax Benefit savings already passed by the Senate since the 2015 budget will save around $3.6 billion over the forwards and rising to $5.5 billion if the child care Family Daycare savings and the baby bonus cancellation are added in. This is more than enough to fund the Child Care package ($3 billion) with savings left over. What does this mean for childcare services and families? ECA recognises that families need the Child Care Package subsidy reforms to proceed; as many have already reached their cap rebate. There are also children missing out on quality early learning experiences because of the high out of pocket costs that many families (low and middle income) simply cannot afford. We will continue to advocate for two days of quality early learning universal access for all children and we encourage our members to get involved and talk to families about these issues. PSW (2016) Economic Impacts of the Proposed Child Care Package Bill. If you would like to contact ECA about our advocacy please email policy@earlychildhood.org.au. Margaret Young (2013). ECA’s advocacy: 75 years and going strong. Every Child Vol. 19 No. 3.